On her lunch break, Bangkok office worker Chinapa Payakha emerges from a 7-Eleven store with two plastic bags. Though there was once again no shortage of issues discussed among delegates at this year’s iteration of the Shangri-La Dialogue (SLD) in Singapore over the weekend, by far the most prominent one was the U.S. concept of a free and open Indo-Pacific strategy (FOIP). Asean will further reduce barriers and deepen economic linkages among member states, while lowering business costs and creating a larger market and economies of scale for regional businesses. 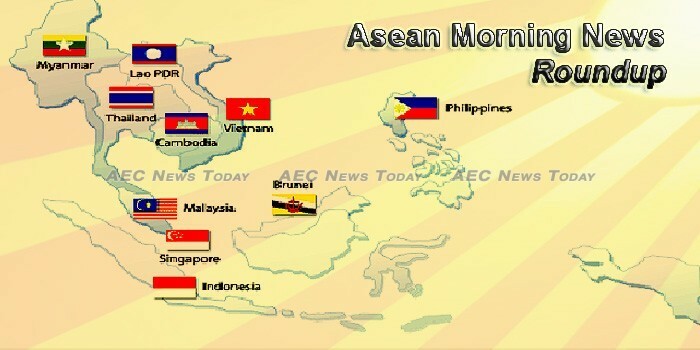 An official of the State Council Information Office of the People’s Republic of China said that China and member-states of the Association of Southeast Asian (ASEAN), including the Philippines, have entered into a new era of mutual cooperation and deeper understanding in various fields. Southeast Asia has become one of the top tourist destinations for people living in South Korea, and among its best attractions in the ASEAN region are its delicious and diverse cuisines. Keppel Singmarine has secured a contract worth S$50 million to build South-east Asia’s first liquefied natural gas (LNG) bunkering vessel. Southeast Asian start-up Grab has been “battled-tested” to take on Indonesian counterpart Go-Jek as the latter expands abroad, a Grab co-founder said on Tuesday. The ride-hailing giant that bought out Uber’s business in the region last year has found another way to make rides more profitable for drivers (and the company, of course), reports TechCrunch. Human-rights violations in Southeast Asia remain a sad sight in the news. Among the various organisations working to improve the situation, Fortify Rights since 2013 has been hard at work with its team of human-rights specialists in Thailand, Myanmar and Malaysia to bring changes to the region. THE ASEAN-Korea Tourism Investment Seminar will be taking place on June 8 in Seoul, South Korea and will provide up-to-date information on investment environment and opportunities in tourism industries of the 10 ASEAN member states and hold one-on-one business meetings. It’s been 50 years since the Association of Southeast Asian Nations (ASEAN) came together as a group of like-minded nations to promote regional trade and the benefits it delivers to all. South Asian Association for Regional Cooperation (Saarc) Chamber of Commerce and Industry (CCI) Senior Vice President Iftikhar Ali Malik has said that the regional organisation cannot progress in isolation and called for strengthening practical engagement with other Asian and international organisations for development in the region. His Majesty King Norodom Sihamoni, King of Cambodia, called on all citizens to exercise their free rights by voting in the National Assembly 6th mandate election, which will be held on July 29, 2018, according to the royal letter dated on May 18, 2018.
akarta head of Urban Plantation Management Unit (UPPTP) Yati Sudiharti said that part of the Rp8.1 billion procurement for the city’s plants and decorations are used for the 2018 Asian Games. PT Jinjiang Environment Indonesia, a wholly owned subsidiary of China’s leading waste-to-energy (WTE) operator China Jinjiang Environment Holding Company, has acquired a 95% stake in PT Indo Green Power (IGP), which has secured a concession to construct, own and operate a WTE facility in Palembang, Indonesia, with a total installed waste treatment capacity of 1,000 tonnes per day. Prime Minister Thongloun Sisoulith told the 5th Ordinary Session of the National Assembly on Tuesday that the national economic development has advanced as expected with the first half of this year expected to witness an economic growth of 6.7% and a Gross Domestic Product (GDP) of 152,436 billion kip. Plans are being drawn up in Laos for the new highway connecting its capital Vientiane with Hanoi, the capital of neighbouring Vietnam. Bangkok Airways (PG) and Lao Airlines (QV) have entered into a new codeshare partnership to strengthen their respective route networks between Thailand and Lao PDR. Malaysia’s new finance minister Lim Guan Eng on June 5 said he will report to the anti-graft agency upfront payments of 9.4 billion ringgit ($2.36 billion) the previous administration made to a Chinese firm for two pipeline projects that have barely begun. The wife of Malaysia’s ousted prime minister Najib Razak was on Tuesday questioned for more than three hours by the nation’s anti-corruption agency over a massive financial scandal involving a state sovereign wealth fund. Malaysia exports rose 14% to RM84.2bil in April 2018, the second highest monthly export value after the previous month’s exports of RM84.5bil, underpinned by higher exports of electrical and electronic (E&E) products and crude petroleum. Mohammed Hashim hid in the hills and watched as his brother begged for his life, his arms bound behind his back as soldiers marched the 35-year-old teacher away. It was the last time he saw him alive. The Myanmar government is considering closure of the remaining internally displaced persons (IDP) camps in the country under a strategic plan, according to Xinhua quoting state media. With creative flair, the Myanmar-based social enterprise “Chu Chu” lets little go to waste as its staff turn discarded clothes and rubbish into handy accessories that get snapped up by tourists. A Filipino engineer has warned that many of the countries towering high-rise buildings could be severely damaged, with some possibly collapsing, due to the use of Quenched Tempered (QT) steel bars in their construction. The 37-member Quezon City council has given Mayor Herbert Bautista the green light to extend P1.2 million in financial aid to informal settlers affected by road improvement projects. South Korea has extended a $172.64 million loan agreement to the Philippines for the construction of the Cebu International Container Port, according to the Department of Finance (DOF). By 2023, Singapore’s citizens and businesses will be able to access all Government services anytime, anywhere on an Internet-enabled device. As Singapore develops its digital economy, a trusted ecosystem is key, where industries can benefit from innovations in technology while consumer confidence and understanding can be assured. Supermarkets and other retailers may be required to report the amount of plastic bags they use, and plans to reduce their usage, by 2021. THE JOINT Standing Committee on Commerce, Industry and Banking (JSCCIB) will review its economic forecast in the next meeting on July 3, while expecting this year’s economic expansion to be within its estimated range of 4.0-4.5 per cent. The government is urging auto-makers to take advantage of the Eastern Economic Corridor (EEC) facilities to set up production bases in its effort to make Thailand the regional hub for automobile production. Consumer confidence in May dropped on negative factors such as rising oil prices and concerns over the slow economic recovery, low commodity prices and higher living costs. A court in Vietnam has upheld prison sentences against 15 people it said are guilty of plotting to bomb the country’s largest airport in Ho Chi Minh City last April, state media reported on Tuesday. Vietnamese lawmakers are expected to pass a new cyber security law next week that threatens to still online dissent and further rein in Internet giants like Facebook and Google. The National Oil and Gas Group (PetroVietnam) contributed VND40.8 trillion (US$1.79 billion) to the State budget in the first five months of 2018.